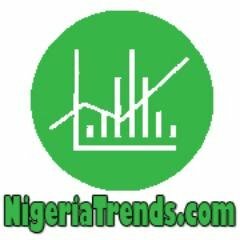 NigeriaTrends.com — Breaking news making rounds in the Nigerian diaspora community in Maryland, is the shocking death of Sultan Oyeshile, a University of Maryland student who died early Saturday morning (March 12) in a car crash. Friends and colleagues of the 22-yr old has been mourning the great loss. NigeriaTrends.com gathered Sultan Oyeshile and 3 friends were heading to Panama City Beach to celebrate spring break when the tragic auto accident happened. One could only wish they had postponed their trip or stayed home with their respective family for spring break? According to Police reports, the car Sultan Oyeshile was driving, lost control and struck several trees on I-95 in Clarendon County, South Carolina. Three other passengers in the vehicle were taken to the hospital. One passenger was released while another underwent surgery Sunday morning. The third passenger was transferred to another hospital. Everyone in the vehicle was reportedly wearing a seat belt at the time of the car crash, according to South Carolina Highway Patrol. Oyeshile, 22, attended Damasus High School where he played for the school’s football team. He majored in community health and also served as a community assistant for UMD’s Department of Resident Life. He was a resident of Clarksburg, Maryland. “A 22-year-old Maryland man was killed early Saturday morning after he allegedly lost control of his vehicle, overcorrected and struck several trees after running off the road, according to the S.C. Highway Patrol. The Clarendon County Coroner’s Office identified the man as Sultan Oyeshile of Clarksburg, Maryland. Three passengers in Oyeshile’s vehicle were transported to Clarendon Memorial Hospital, where one passenger was released and another underwent surgery. Fellow classmates and friends of Sultan have been mourning the loss and paying tribute to his life on social media sites like Twitter, Instagram and Facebook. Friends of Sultan Oyeshile have started a GoFundMe page to raise money for his family and help with funeral costs. The creator of the fundraiser reportedly went to high school with the deceased. May his soul rest in the Lord’s blossom. ? ?